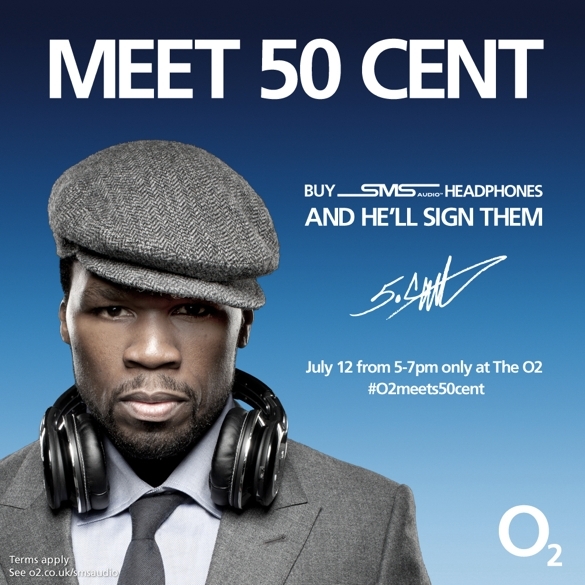 SMS Audio have released a range of headphones through O2 and they are also giving you the chance to have them signed by 50 Cent when he visits the O2 Arena in London on the 12th of July. The range in question encompass the option for in-ear and over-ear (STREET by 50 – £99.95 and £199.95 respectively) and the wireless over-ear edition (SYNC by 50 £299.95) – you can find more details here on the O2 site. The incentive here, to London based headphones shoppers certainly, is the chance for you to take your Street or Syncs over to the O2 arena on the 12th of July and meet the man himself and have him sign them.